ReVisioning Point is a citizen organized movement seeking to involve the community of Stevens Point, its stakeholders, and government in an effort to enhance the livability, appearance and economy of Stevens Point for generations to come. We recognize the need to address deteriorating neighborhood properties by creating safe, convenient quality housing for students, professionals, retirees, and the aging. We want to think BIG about small places and build a diverse community of people, who want to live, work, play, and retire in Stevens Point. Revision north side Division Street corridor as a multi-use retail/office/housing/green space Parkway in consultation with city planners, businesses, and other stakeholders. Develop mixed-use housing for professionals, students, and retirees of various income levels. Enhance economic and transportation interconnectivity throughout the city with bike paths, mass transit, and walkable urban thoroughfares that connect Downtown with the university, healthcare agencies, and other businesses. Create and maintain green space as a vital component of sustainable and prosperous urban environments. Support mixed land use planning by siting commercial areas close to residential and recreational areas. Grow economic activity by increasing the number of people within existing retail/business areas. 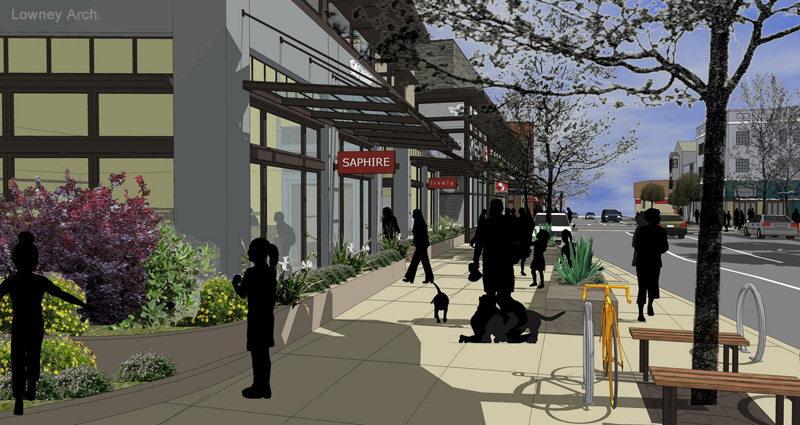 Revitalize community life through pedestrian-oriented retail, thoroughfares, and public spaces where people meet. Make neighborhoods attractive to workers who are considering quality-of-life-criteria. Create a range of housing opportunities that include compact and green building design. Enhance roadway safety and efficiency with two-way network design. Implement the Portage County Bicycle and Pedestrian Plan to generate safe walkable and bikeable neighborhoods. Preserve open space, natural beauty, and clean water.